Notes: The DY-100 class was in use on Earth in the mid-1990s. The ship was intended from interstellar travel but did not posses a warp drive that wouldn't be invented for another 70 years; as a result the crew had to be placed in a state of suspended animation for the trip. The DY-100 was launched from the surface of the planet with six booster rockets that were jettisoned once the ship was in space. 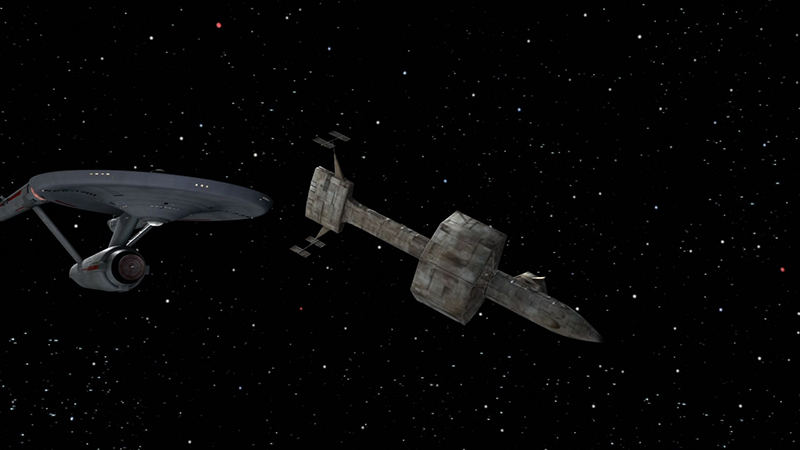 DY-100 class ships were also known to be used as a way of escaping the aftermath of Earth's Eugenic wars. All DY-100 ships were retired in the early 21th century with improvements in sublight technology.